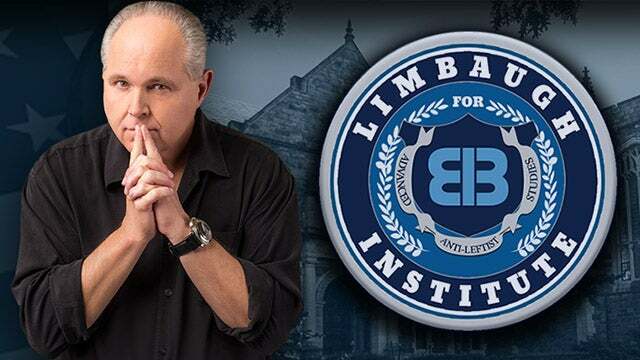 RUSH: And here we are back at it, Rush Limbaugh, having more fun than a human being should be allowed to have because I’m doing what I was born to do. And you do not know what a fortunate break that is. I have wanted to do this, I’ve wanted to be in radio since I was 8 years old. And I didn’t ever want to do anything else. That is irreplaceable. You know, that reminds me. Let me find something here in The Stack. Greetings, and welcome back. It’s 800-282-2882 if you want to be on the program. And we’re gonna be getting to phone calls very quickly here in this hour. There’s one. Something related to the point I just made. It’s a story about a stellar high school student who doesn’t want to go to college. Instead, wants to go to a vo-tech school because she doesn’t want to be saddled with student debt. I didn’t want to go college either. I only did because it was expected of me and it was sort of, you know, it was a cultural requirement. And, you know, my parents came out of the Great Depression, and that was a formative thing in their lives, and if you didn’t have an education, you didn’t have a chance to get a job. And so it was very important to them. My dad thought he was a failure for most of his adult life because I just refused. I went to one semester and quit for a host of reasons, which I’ve explained. But the two stories here are fascinating on this. We’ll get back to this Trump-Russia stuff here in just a second. This story is from the Wall Street Journal: “Why an Honors Student Wants to Skip College and Go to Trade School — As worries about student debt rise, states and businesses increasingly push faster, cheaper paths to the workplace; parents are stumped. “The friction around the best path forward after high school is popping up around the country as anxious students and families try to figure out how to pay for four years of college. At the same time, business groups and state governments make the case for a free or much cheaper vocational education. The conversation is being fueled by questions about the declining value of a college degree as well as the rising cost of tuition and student debt. Well, in my case, it’s longer than that. But, you know, it’s an interesting thing here. One of my big bugaboos, I mean, one of my chief gripes with the, quote, unquote, establishment — now, define it this way. The establishment, in their minds, are our betters, and some of them have good intentions. Others are just plain out of touch and wrong, and they’re arrogant and condescending. But some of them do have good intentions. But the people of this country have for generations largely entrusted this group of betters to run institutions like education, to come up with the curricula, to run the public school system and certain community colleges and so forth and the premises associated with all this, the reasons for doing it. And they have crept into our culture and they have become rock solid in the culture. And this story illustrates it. “You gotta go to college. It’s just what you do. There’s no other consideration. You don’t want to go to college? Look at your grades, you’re 88, your college boards are through the roof, you don’t want to go?” You’re ostracized and you’re made to look odd and weird and so forth. But look at what our betters have actually done to this. And this high school student, Raelee Nicholson, whether she knows it directly or instinctively, understands that it has become an albatross. Look at what our betters have done to the whole idea of a college education. They’ve made it unaffordable. What is the value in graduating from four years with debt that could run anywhere from $20,000 to 150,000, and the more you’re in school, the higher the debt? And the more debt that a graduate has, the less the value of the degree, the number of years it’s gonna take to repay the loans. And in this way, a college education has been warped. And they’re in charge of all of it. They’re in charge of the tuition. They’re in charge of the loan programs. They’ve taken it over. The government runs all of this. And with grant money involved the government has a say-so in curricula. Look at all of the worthless degrees now that graduates have because they thought it was what they were interested in or meaningful, but it’s not. And so they’re unemployable, and they have all of this debt. It used to not be this way. But when everybody starts talking about the things in life that are too expensive and that we’ve gotta bring the costs down, nobody seriously ever talks about lowering tuition. The student loan program is there to prop up highly paid faculty and student assistants, teachers assistants and so forth because the faculty is the training ground and the proving ground for bending and shaping and molding these young skulls full of mush into good little cookie cutter liberals. And so the professors, the faculty and so forth that do this can’t cut their salaries, we can’t grade them on performance, we give them tenure and so forth, can’t judge their capability, can’t judge their worth, can’t treat them according to their talents and abilities. We’re saddled with them. The education system is propped up, and whether you’re any good at it or not, your job is safe. And it has become basically series of indoctrination centers. And yet parents still believe in it, it still remains the number one objective of every parent for their child to go to college, to get a degree. And don’t misunderstand. I’m not universally opposed to this. Do not misunderstand me. I think it’s something that’s universally applied everybody when it doesn’t necessarily make sense for everybody. And yet people are pushed towards it, there’s peer pressure, there’s family pressure, there’s all kinds of pressure applied, and plus the “you’re not gonna ever amount to anything if you don’t” pressure. Now, as I say, do not misunderstand. I am not here criticizing the concept of education. I’m all for it, folks. I’m the biggest believer of education you’ll ever run into. It is invaluable. It’s irreplaceable. You cannot fake knowledge. You cannot fake the experience that life teaches you. You cannot go through life without a foundation of knowledge and an ability to think and add to it. So don’t anybody confuse what I’m saying here. But I think that’s not happening much anymore. The ability to think is being suppressed. Conformity is being pushed on everybody. Christina Hoff Sommers. Does that name ring a bell for you, Mr. Snerdley? She’s a well-known conservative… (interruption) Well, I wouldn’t call her “anti-feminist.” She would think she’s a feminist, but she’s anti-left-wing feminism. Well, she was invited to speak at some college in Portland, and the students panicked and they considered what she was going to say to be the equivalent of a weapon threatening their safety. They tried to get her appearance canceled. That failed. So she shows up, she starts speaking, and they shout her down. They start calling her names. “Nazi, bigot,” this kind of stuff. She said she was able to get through about half of her speech and then the dean interceded and instead of admonishing the students, said, “I think it’s time to wrap this up” and ushered everybody away — and it was just words! It was just words, and it was an alternative way of thinking and believing, and these students felt threatened by it. They felt like these words were the equivalent of a weapon endangering them and they were not gonna put up with it, and they succeeded in shutting it down. Now, that’s not education. That is… In fact, people paying to go to places that this happens are being ripped off every bit as much as you’re being ripped off anywhere else you get ripped off. This is a giant scam to call that kind of thing education. This is not education that’s happening in too many places, and then after you pay for this, you come out of college brainwashed, propagandized. And you’re unable to think because it’s been trained out of you. Thinking, coming up with alternative viewpoints, opposite ways of looking at things is considered poison! You become a problem that has to be dealt with. So, yeah, in a lot of cases, I see value in people who are able to think — and who know what they want to do when they’re 18 — avoiding that experience. The thing that’s wrong… The thing that’s gone wrong is we as a culture and society are assuming… It’s not that. We’re doing more than assuming. We are basically judging and claiming that people who do not go to college are not educated and are not sophisticated, not acculturated, and not desirable. People who do go to college who may come out of there brain-dead, brainwashed, and literally trained to be just like every other robot graduating with them in their class are considered to be the future — and I think we’re beginning to see the ramifications of this kind of thing. It doesn’t do anybody any good to graduate a bunch of robots that are afraid of words, that cannot think, that cannot even explain why they believe what they believe, other than to say, “If you disagree, you’re hateful and I hate you!” But if you can’t give anybody a substantive reason why you disagree with them, you just have to shut them up, shun them, or basically kick them out. You’re not educated, and there certainly is nothing special about you. You have just become a tool. You become a lifelike robot of the American left. And so a student who is able to think and wants to learn and can get somewhere in life by avoiding that? Fine with me, because that’s not education. That’s not education. People that come out of school like this like these students that shut down Christina Hoff Sommers — and by the way, they’re not alone. That’s just the latest example. The whole snowflake example. There’s not a conservative in this country that can be invited to major college campus anywhere and survive it. By survive it, I mean give their speech. They’ll be shut down. They’ll be sent packing. That’s not education happening at these places, but it’s said to be — and look at the prison you’re in when you graduate with all that student debt. RUSH: Here Matt in Lancaster, New York. Great to have you, sir. Welcome. CALLER: Thank you, Rush. It’s truly an honor to speak with you. CALLER: I have an idea on the — it’s not about getting rid of Trump. It’s purely about getting rid of the outsider. You yourself said there’s good people out there that are getting crushed, going bankrupt while there are people sitting out there with a laundry list of crimes, collusions, and compromises that are not being touched. And I don’t really believe it matters if you’re a Democrat, Republican, liberal, conservative, if you’re inside, you’re gonna do everything you can to make sure that no outsider ever wants to run again. CALLER: And I think the education system backs that up, because if you speak out against the education system, you get crushed if you’re in the education system as a student. And if you somehow happen to escape the education system, what you will go through will be exactly the same as Trump and you’ll get crushed, and you’ll never go for it. So good people are being discouraged. When known felons, when known troublemakers, when known mentally deranged people are allowed to pass background checks because of a government policy… This is a liberal education policy. It had nothing to do with guns or the NRA or anything like that. We had 66 different times and ways to stop this shooting, and not one time was the occasion taken to stop this shooting and to do something about this perpetrator. That, too, is part of the American education system. In addition to the dumbing down, in addition to siphoning off the ability to think, liberal education policies are getting kids killed at the same time. CALLER: And what good people will stand up and defend that if they know that they’re gonna get killed? RUSH: Well, look at the people that do stand up and defend it. They get raked over the coals. They are targeted themselves for reputational destruction and so forth. You know, the crying shame about all this is that the libs get away with all of these things under the premise, a premise it’s totally false — and that premise is that they care about people and that Republicans or conservatives don’t. They get away with it because they seem to have a monopoly on compassion, whereas the Republicans are said not to have any. And none of what the Democrats, the American left, the media are — none of what they do — is benefit people. It’s to consolidate power. It’s not to benefit anyone. The minimum wage, advocating for its increase, is not to give people more money. It’s to create the illusion that they care about how much money people have, when they really don’t. The minimum wage costs jobs. The minimum wage, raising it, results in people losing money, and the Democrats know it. And they know this stupid PROMISE Program is leaving potential bad guys roaming free in service to prison statistics — a lie about that, that this country is so racist and so bigoted that innocent minorities are in jail because this country is filled with racist Republican lawmakers. So we’ve gotta make sure those people get out — and, further, that African-American and minorities are not put in jail — and the way you do that is ignore the crimes that they commit. And that’s exactly what the PROMISE Program does. It ignores crimes — felonies and misdemeanors — in service of changing those prison statistics. People get killed as a result. 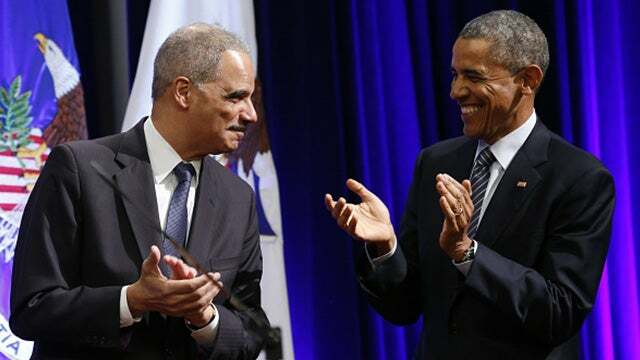 But at the end of the day, the Democrats get credit for caring about people, and then in the aftermath, the Democrats get credit for really caring about people ’cause they want to get guns off the street. I have to take a break. I’m glad you called, but I’m out of time.